Engineered to bring you unmatched precision and surface finish. As engineers, we understand the impact that fast prototype turnaround has on your speed-to-market. We also know that durable, accurate custom jigs and fixtures are key to maintaining quality, efficiency and safety in your processes. 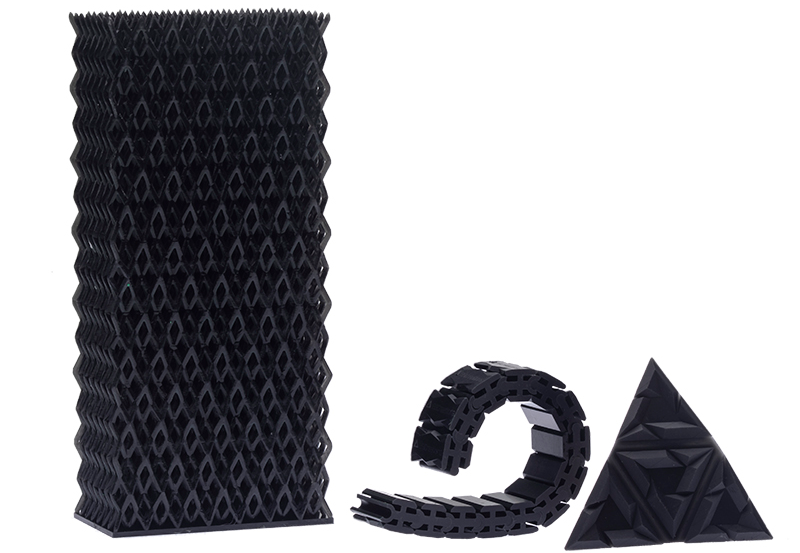 B9Creations 3D printing solutions offer unmatched speeds and enhances the production of these pieces, ensuring productivity and safety through tailored ergonomics. B9Creations brings you a reliable, affordable method of meeting these needs using materials that can withstand the manufacturing environment. 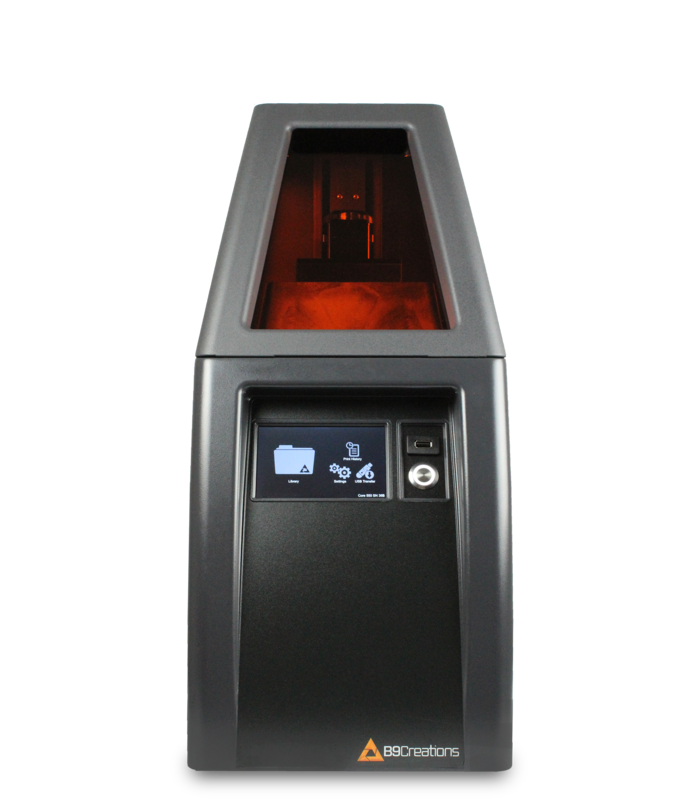 From prototyping to production, the B9 Core Series is the fastest, most cost-effective tool for digital manufacturing. The B9 Core Series provides industry-leading speed, resolution, and simplicity. The B9 Core 530 provides 30 micron XY resolution and a build table area of 57.6 x 32.4 mm, while the B9 Core 550 offers 50 micron XY resolution and a build area of 96 x 54 mm. The original B9Creator v1.2 is a versatile machine built to print the finest details and adjust to build projects as large and small. 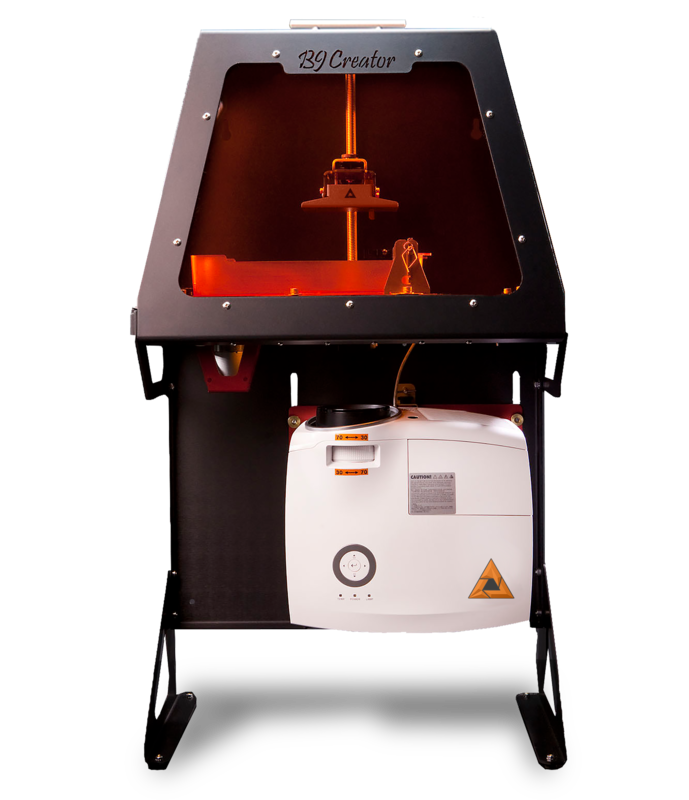 Designed to offer a high level of user adjustability and control with low operating costs, the B9Creator is made for those who want to integrate 3D printing into their manufacturing process without spending a fortune.